GMR Infrastructure, India’s one of the largest infrastructure firm is in talks with Warburg Pincus-backed logistics developer e-Shang Redwood (ESR) to develop logistic and warehouse parks. This initiative of ESR in the city of pearls, Hyderabad, is part of its vision of launching such parks across major cities in India. 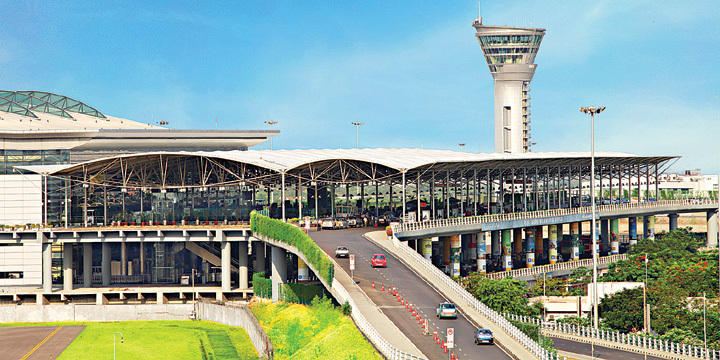 The land chosen by Duo Company is located next to Hyderabad Airport, which is run by GMR Infra. While for Asia’s biggest developers and operators ESR which is making its way in the Indian Infra Market, collaborating with an Indian firm like GMR can help them get leverage in the market. As per the agreement which is yet to be finalized, GMR will lease the land to ESR, who will then develop the projected warehouse. According to the sources, since other players are also bidding for the same project, if talks with ESR turns fruitful for GMR Infrastructure it will help India’s warehouse Industry to enhance their automation and will lead to increase in supply chain across the country. Currently Amazon is one of the key client on the land near the Shamshad airport Hyderabad. It is also planning to develop 3.5 Million square feet warehousing place on the land owned by GMR Infrastructure. ESR has been planning to either buy or form joint ventures with land owners or developers for land parcels in the 50-150 acre range. According to an article published on the Mint, the company had plans to secure almost 600 acres of land across various locations in India. The objective was to set up industrial and logistics parks, which were expected to be launched across major cities in India. In 2017, Charles de Portes, Co-Founder and President of GMR Infrastructure said that the firm would invest over $100 million in India annually as part of its plan to launch its business in India. Between 2006 and 2009, Redwood Group (before its merger with e-Shang) had secured land and started discussions to form joint ventures (JVs) in India, but none of the projects took off.